Bracelet numbers are stamped on the back of the Bracelet Clasps. Complete bracelet numbers look like this 1503/825. The first four digits is the bracelet body and the last three is the end piece. End Piece nunbers are stamped on the end piece. Some Titanium bracelets only have the end link number stamped on it. Use the Titanium end link number on the bracelet page to determine the bracelet number. 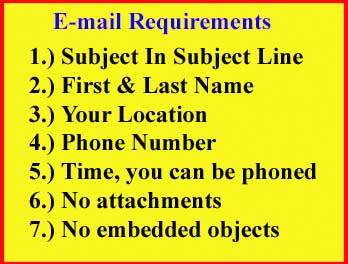 Use the Bracelet numbers to order links and tubes. 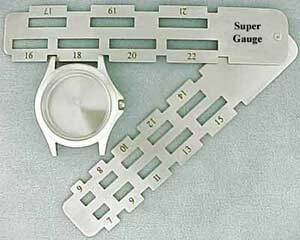 The bracelet number does not designate the color or metal used. however the color and metal used is not indicated by the case number. The case number is located inside the back case. Model names and the date made tell us nothing, the only information we have is by numbers and this is true with every brand we supply parts for and is not unique to Omega by any means. Case numbers and caliber numbers are the two most important numbers for ordering replacement parts and you should be aware of them if you are ordering parts. Model numbers supplied with the original warranty papers, when the watch was first sold can also be used to find original equipment part numbers. Special Omega Leather Strap 032CU1216002 measures 18 mm (spring bar) x 28 mm (tapered) x 16 mm (buckle) . 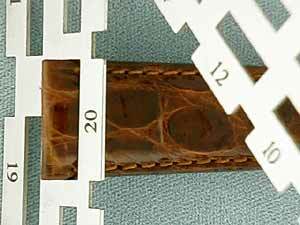 Buckle End measures 3". Hole End measures 4 1/2". 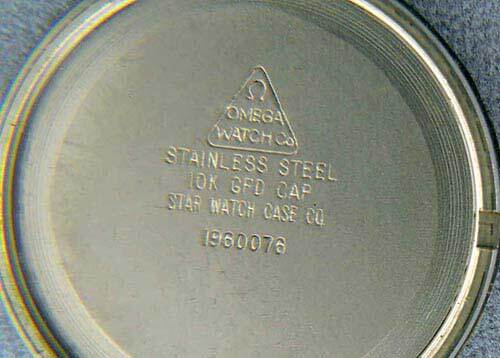 Omega straps are not supplied with a buckle. Please order a 16 mm buckle from our selection of buckles if you need a buckle. Omega "ART WATCH" Black Calf Leather Strap with buckle. 16 mm X 16 mm. Curved Ends with two holes to attach to watch case. Buckle End measures 3 3/16". Hole End measures 4 15/16". Omega "ART WATCH" Black Calf Leather Strap with buckle. 16 mm X 16 mm. Curved Ends with two holes to attach to watch case. Buckle End measures 2 9/16". Hole End measures 4 1/4".